Casa Beazley is an amazing three story home that provides comfortable accommodatios for up to seven people. The home contains two bedrooms, two bathrooms, sofa bed, day bed, and a fully equipped kitchen. Smart TVs have WiFi and Netflix connected . First floor will offer the comfort of the Master Bedoom with a king size bed and attached bathroom . The Kitchen has complete electric appliances such as stove, toaster, blender, and coffee maker. The living room has a Queen sized sofa bed. On the first floor you will find a comfortable back patio. The second floor has access through a spiral staircase from inside of the house, and an additional standard staircase. 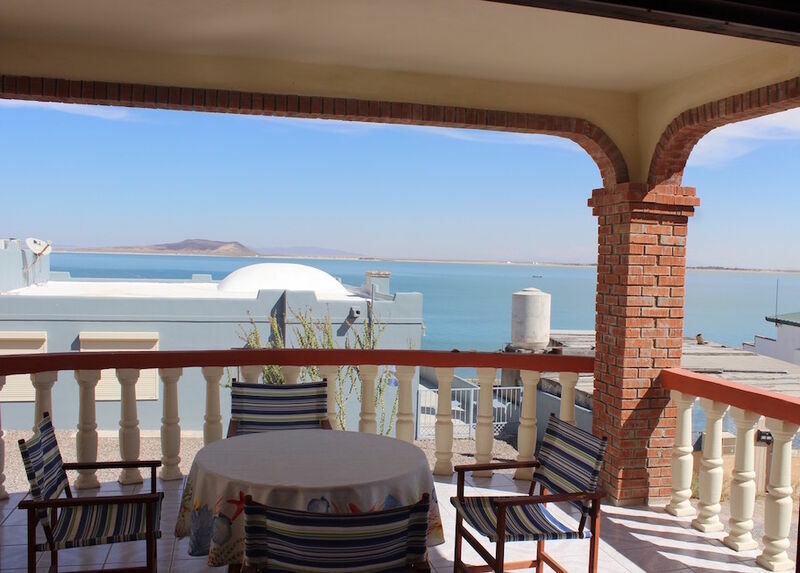 The second floor is where people sojourn - it has a two decks with suitable shade and a clear view to Cholla Bay, and iconic JJs Cantina. The second floor bedroom has a Queen size bed and additional daybed in the playroom. Here you will find several board games, a TV with a DVD and VCR too. Air conditioning and ceiling fans controls will be found mounted on the walls next to the doors. The third floor is a marvelous place to hang out with all of your family and friends. Access is through the spiral staircase. Terrific views of Cholla Bay and beyond predominiate.